This project it to get Sega Naomi netboot working with a Rasbperry Pi in place of a PC or laptop. 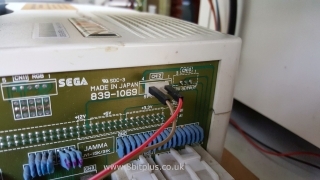 Firstly take a look at my other article about how to get netboot working with the Sega Naomi arcade system using the NetDimm module. The next step is to replace the Laptop or PC used to send the game image to the NetDimm, with something more discreet and smaller. I originally found an article on Arcade Otaku showing how the Raspberry Pi could be used to load the games. 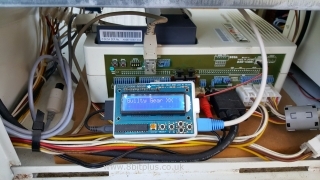 After a bit more research I fount that an LCD screen could be used with another tool called PiForce Tools. the LCD and control board are useful to display the game title and allow for selection. At the core is a Java implementation of the original Sega Transfer.exe, and is fully Linux compatible. The Adafruit LCD shield is very easy to assemble, and comes with everything you need. When it’s assembled, install on the Raspberry Pi board. I also modified a cheap white Pi case by cutting a large gap for the LCD screen to mount in to. To power the Raspberry Pi I needed to locate an accessible 5v line. I found this on the Naomi filter-board, on CN12. I made a custom Mini-USB cable to link to this power point. You can setup PiForce Tools two ways. Firstly you can setup a bootable OS on the raspberry Pi, configure the SD card partitions and network settings. Then set the python script to run on startup. The other option is to download the pre-configured SD card image from the website, and just copy over your roms. I went for the full install and setup option as it gave me more control over the system and network settings. All you need to do after this is move your game images (ROMS) to the FAT32 partition of the SD card. Sorry I cannot give any link to them. With the games in place on the SD card and all the correct network settings to talk to the NetDimm module, all you need to do is switch on and select the game title. The buttons on the LCD plate allow you to cycle through the game titles. Pressing select starts the transfer process. Then just like transferring from the PC or Laptop, game data is sent to the NetDimm. Easy! Thanks for reading. 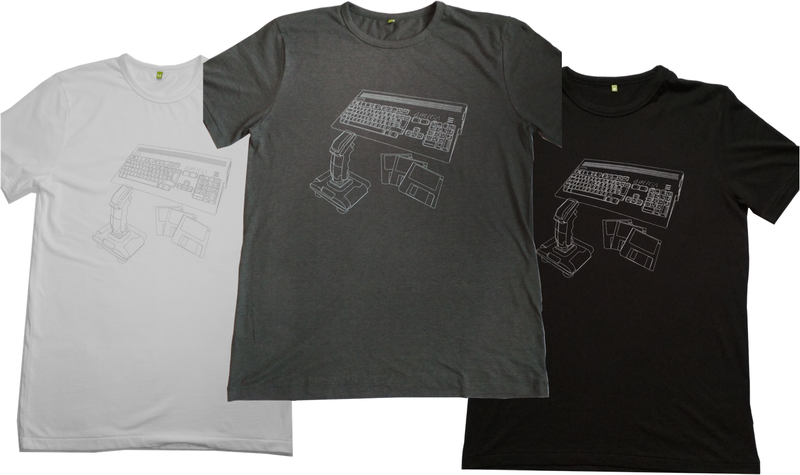 8bitplus 2015. 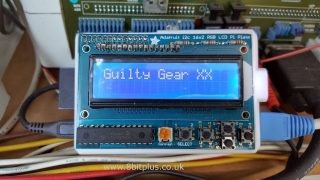 I must buy adafruit kit or can I use other LDC with buttons?? Hi, for me it works perfect, thanks! But I have a doubt , how is the best way to turn off the raspberry and naomi motherboard? Hi. I want to buy the Rasspberry netboot kit with sd card 32g with all games and ready to use. How mush is it and with shipping to Thailand by EMS mail. Sorry, but I do not stock them for sale. They are easy to make if you already have the NetDimm. The Raspberry Pi and screen are easy to find. the pictures are missing from the guide. Hi. It was just a cheap one from eBay. I cut the top to fit the LCD. 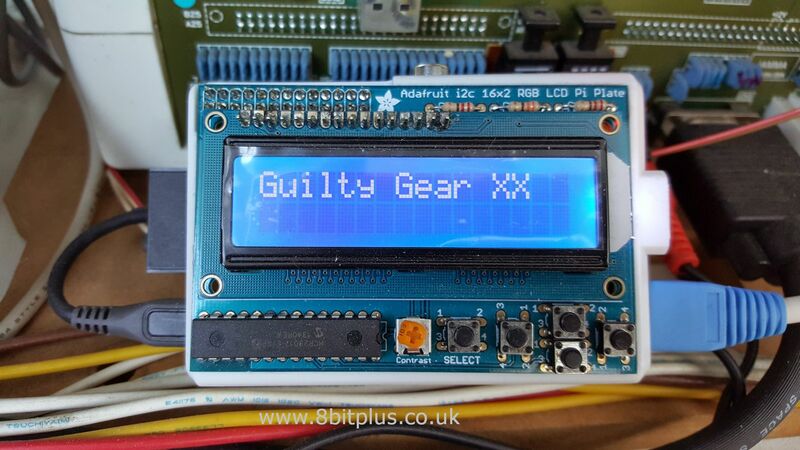 Great guide but the link is wrong to the LCD kit. Received them and realized its the wrong model, those are for the Arduinos. I do apologize, Changing link. I’m sure you can return the other ones if they are not used.